SHE’s joint solar cooking project with The Nature Conservancy (TNC) in the Dominican Republic, 2013. The use of coal as an energy source is a major cause of deforestation resulting in a negative impact on biodiversity. Promoting the use of solar energy or energy – efficient wood stoves is a conservation strategy that seeks to reduce forests logging and promoting healthier ways to cook. This system has many benefits, such as saving money, reducing fuel purchase – such as propane gas, diminishing time spent searching for firewood, and avoiding harmful smoke from traditional coal stoves. The USAID –TNC’s Environmental Protection Program working together with the US Peace Corps volunteers and PRONATURA (a local NGO) to buffer the energy demands of rural communities and thus contribute to poverty reduction, life quality improvement and restoring vegetation cover of the country. 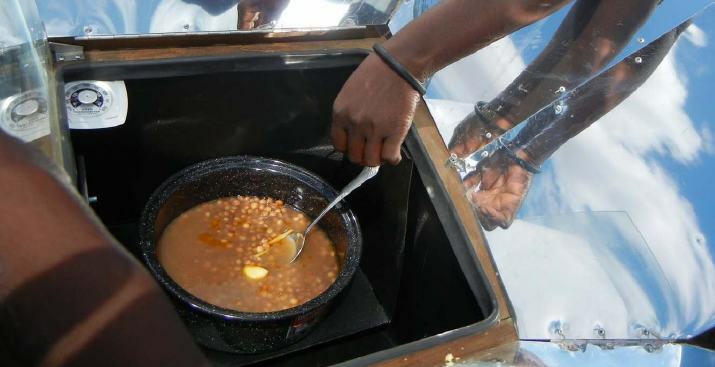 See the Solar Cooking Wiki TNC for more information.